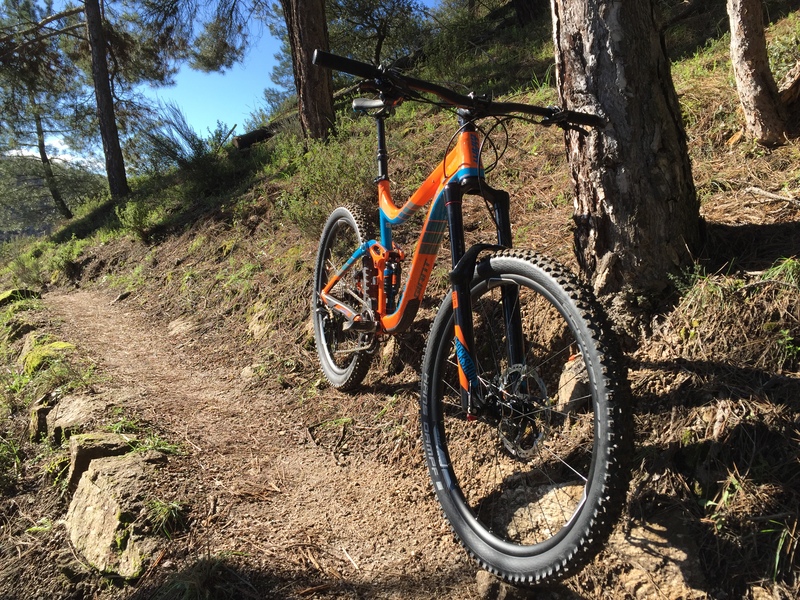 Giant Reign 1.5: bet on the Enduro. In the 2015 us decided to to try in the enduro, a type of evidence within the btt that us called much the attention and is seemed much to the day to day in our outputs with the bike. 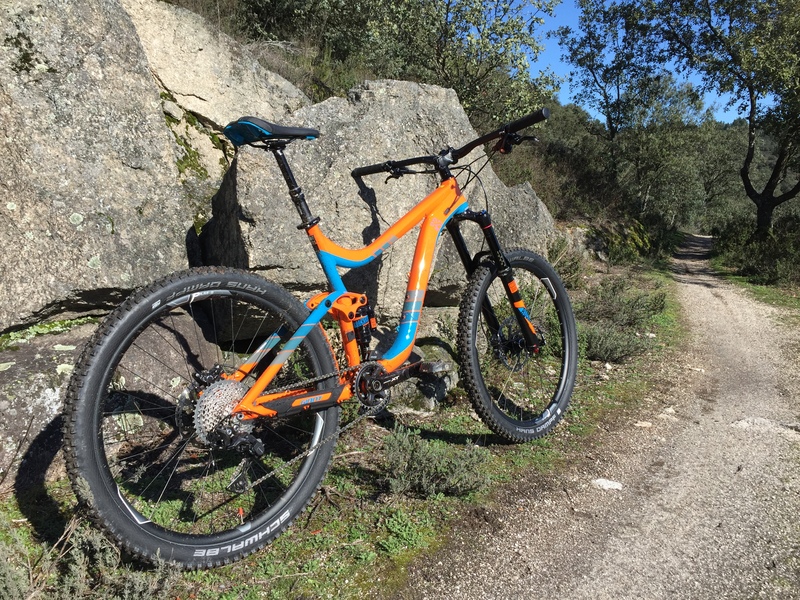 After running the 3 tests of the Galician Championship with the bike from a friend I decided to change my allmountain one enduro allow me face tests in 2016 with more tranquility. After watching, hearing and return to look… I decided by a Giant 1.5 27.5 Reign LTD, which although it was not my first choice in the end convinced me and I think I’m not wrong. 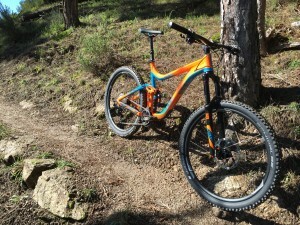 Everyone is aware when Giant renewed their Reing in 2015 this is was one of the best bikes for practice of the enduro. 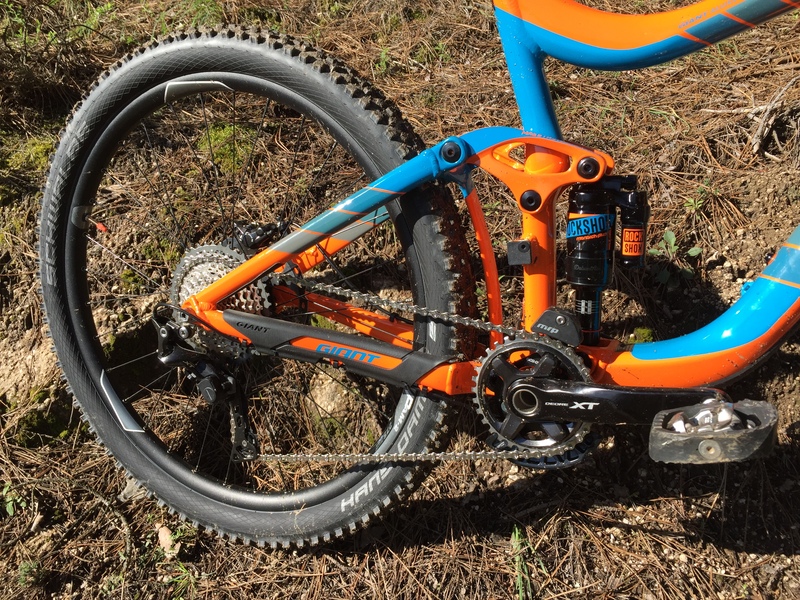 Giant added a montage in 2016 more to his Reign range of aluminium and happen to have 3 models: 27.5 Reing 1, 1.5 27.5 Reing and Reing 27.5. I decided for the intermediate, the Reign 1.5. Its components are the most conform to what it sought, Xt 1 x 11, Pike Rc, Monarch plus Debonair, Reverb Stealth… a good combination with a contained price, everything works perfectly. The Xt 1 x 11 with a plate of 32 is more than enough to cope with rises, well resolved with the only RC Pike cushioning Air 160mm with custom compensation of 46mm and the Monarch plus Debonair that along with the master system give smoothness and escalation. The wheels may not be the best of the market, but if they seem fairly robust and their behaviour is very good. Covers a bit soft but with good grip, at least in wet, we will have to wait for the summer to try them dry. Leave for the end the frame, that of which everyone speaks wonders, and with good reason. First thing to point out is the geometry, the angle of direction of 65 degrees, short rear pods and their 160mm of travel gives you a “descender plus”, its behavior is very fast and convenient downloading, if also a 26 “to 27.5” raisins as my case, you will notice a speed in rapid areas plus. Climbing the master system works very well when you’re sitting and don’t need a lock on the cushion, only recommend it if you ride much standing where if you notice contamination of pedaling. Definitely a good choice if you’re looking for is “Money” which is tricky when you are looking for a bike of enduro, with it you can have fun in the best trails in your area and even compete to the more high level. 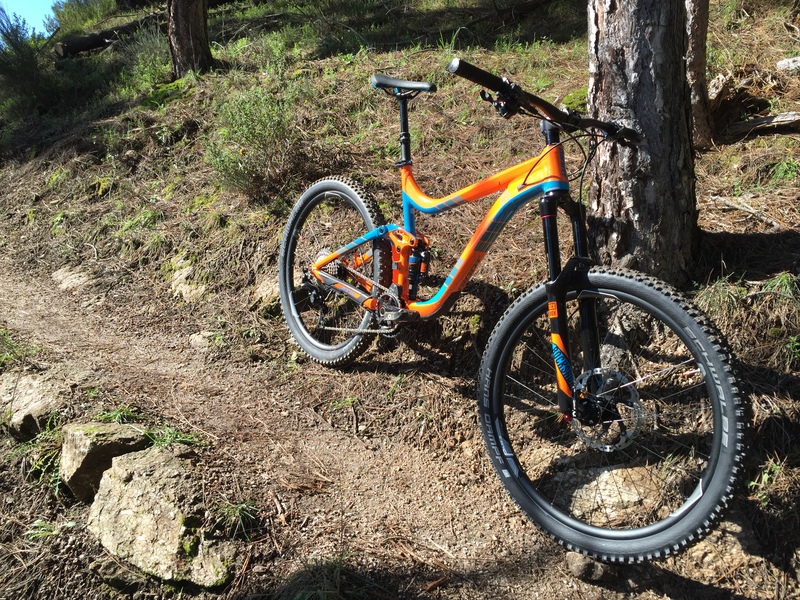 The only downside, little exclusivity, since you’ll see a few rolling down the mountain. Good relationship quality / price. Guarantee of by life in the box. 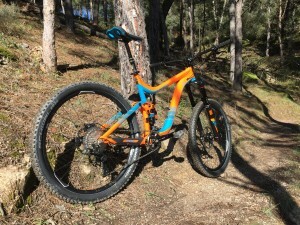 Others options of purchase were: Yt Capra, Canyon Strive or Cube Stereo 160 Hpa, the two first are more cheap but there are that buy them online, while Giant it shopping in store physical and if there is some problem will have more easy solution. 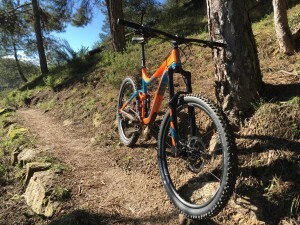 Cube goes very well priced and its picture mounted a Boost 148 shaft, but there are problems of availability and if you don’t have it ordered will be complicated get a.